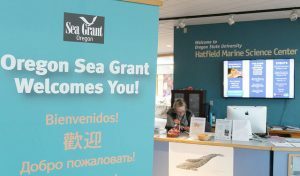 Registration is open for Oregon Sea Grant’s annual State of the Coast conference, taking place Oct. 24 at Southwestern Oregon Community College in Coos Bay. 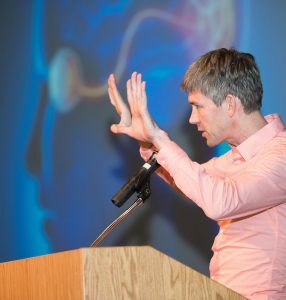 Noted author and marine biologist Dr. Wallace “J” Nichols will deliver this year’s keynote address: “What happens when our most complex organ — the brain — meets the planets largest feature — water?” Nichols will discuss the research behind his book, Blue Mind. Registration, which includes lunch, snacks and a reception, is $35.00, $25 for students. To register, and for more information, visit www.stateofthecoast.com. 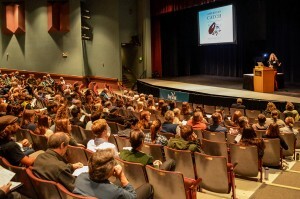 After years in Florence (where it began as the Heceta Head Coastal Conference), organizers decided to move this year to Coos Bay in response to requests to bring the event to other Oregon coast communities. 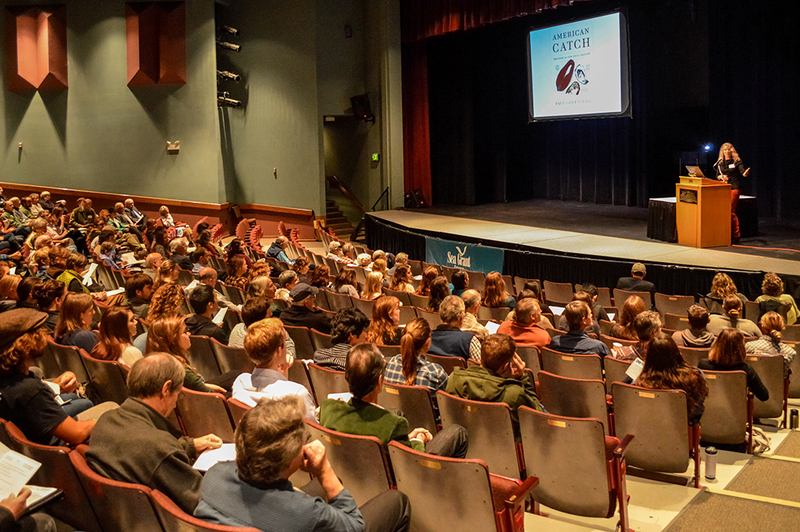 State of the Coast brings scientists, students, industry and everyday citizens together to learn, network and engage in conversations about the current and future state of Oregon’s ocean and coastal environment. 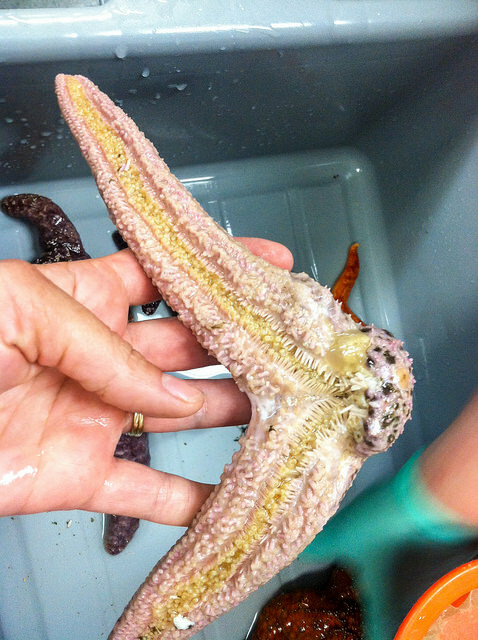 This year’s morning plenary session will provide quick updates on coastal issues including new DEQ water quality rules, marine reserves, Oregon’s shellfish initiative, changing ocean conditions, an overview of 2014 fisheries and the threat of a Cascadia subduction zone earthquake. 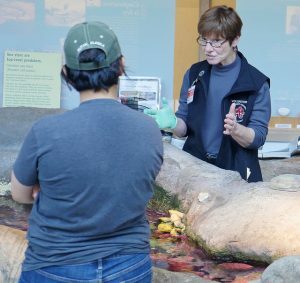 Afternoon break-out sessions allow participants to choose a topic to explore in more depth: Forage fish, Cascadia Earthquake, “The Blob”, Innovations in Fishing, Citizen Science Opportunities, Aquatic Invasive Species, and more. 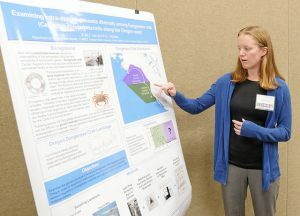 The popular student research poster session will give participants an opportunity to interact with some of the state’s brightest university students and learn about current ocean and coastal research at Oregon universities. 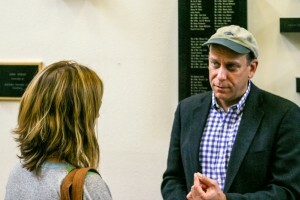 FLORENCE – Oregon State University Fisheries and Wildlife students exchanged arguments about whether wave energy should be supported in Oregon at last weekend’s State of the Coast conference – and every statement had to to be backed by a scientific source. 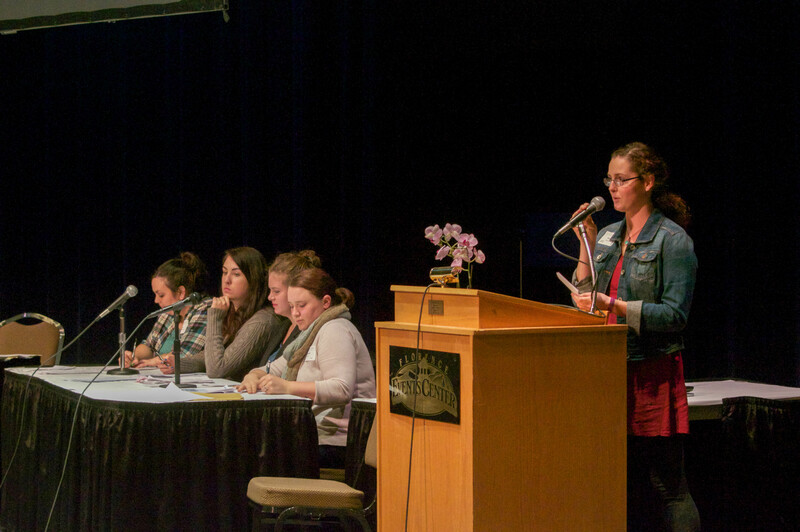 Fisheries and Wildlife students debate wave energy in Oregon at the State of the Coast Conference. The eight students were randomly assigned to one side of the issue in class regardless of their personal opinion, and tasked with finding ways to support their arguments. The two teams of four sat at adjacent conference tables on the Florence Events Center theatre stage. 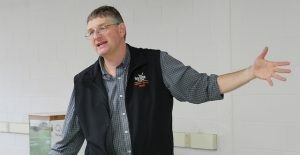 Heppell started the session off with an overview of the issue to the audience of about 60 conference attendees. The debate was part of a new conference format intended to reach a broader audience. Heppell’s wife and fellow professor, Selina, organized the student participation at the conference. Team Yes hit the ground running with data suggesting that wave energy would significantly reduce Oregon’s reliance on coal and natural gas. Jordan Ellison, one of the undergraduate students on the team, reinforced the science with an economic incentive. “Wave energy is expected to produce thousands of engineering jobs, as well as business for the coastal communities,” she said. Following a strong opening by their opponents, Team No retaliated with dollars and cents. Estimates vary, but the cost of one facility would be upwards of $300 million, they said. Team Yes also made a case for establishing marine reserves around the devices and asserted that the structure would be beneficial to marine organisms. Team No shot back with concerns about disrupted migration patterns, and an overall lack of knowledge as to how these impacts would actually play out. 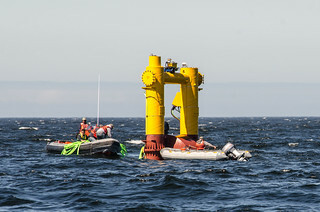 While there was no clear winner in the debate, Huppert’s view was recently corroborated by Ocean Power Technology’s decision to withdraw its support for wave energy in Oregon, citing the exorbitant cost. Research on the environmental and economic impacts are still ongoing at OSU, however, and organizers hoped the debate would help both students and community members understand the issue as renewable resources continue to gain popularity. Both teams said the exercise taught them to look at problems objectively. 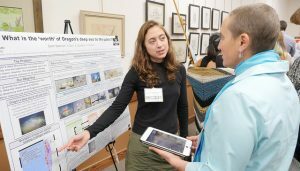 The future of wave energy on the Oregon coast is uncertain, but critical thinking skills will benefit these students as they tackle other marine issues throughout their careers.